Cure Twinkle. 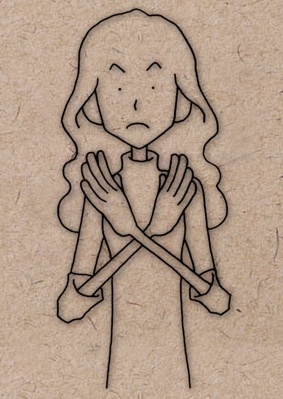 What could her motif be? A new Precure has made her entrance. Her motif is very obvious. There are more star images and references than you can possibly shake one stick at. You would need to go to the forest and pick up several spares. Mere air friction would wear out one stick with all the shaking long before you got to the end of the anime. Ahem. I think I am exaggerating again, aren’t I? But there are a bigly lot of such references. Her civilian name is 天ノ川きらら Amanogawa Kirara. The Japanese version of Twinkle Twinkle Little Star is Kira Kira Boshi. Amanogawa literally means “River of Heaven” but the term actually means the Milky Way galaxy. Stars appear everywhere. From her costume to starry sky backgrounds, shooting stars and the 星空 (Starry Sky) fashion show in which she is taking part. What do stars signify? They can signify aspiration (follow your star). They can signify success (stardom). More traditionally they signify the Harmony of Heaven, the Music of the Spheres. All these meanings are very important here. As you know, the theme of the show – its fundamental conflict – is dreams vs despair. The villains attempt to imprison people’s dreams (dreams here in the sense of hopes and ambitions). The monsters are called ゼツボーグ zetsubougu (katakana extender dash standing for the う). This is an interesting portmanteau name. 絶望 zetsubou means despair and 防具 bougu means armor, especially traditional samurai armor of the kind that is still used in modified form in kendo. So the name means something like armored despair. These armored despair monsters are made from people’s imprisoned dreams, and when they are purified they return to their natural state, uttering the word “dreaming” (in katakana English). Cure Twinkle is a dream‐chaser par excellence. Her every waking moment is devoted to her pursuit of modelling stardom. She thinks of nothing but her dream. So it might seem that she is the perfect heroine for this series. But the truth is that she is far from perfect. She is rude. She is out of harmony. She is so rude that Haruka‐chan and the other girls are deeply shocked at her offhand impoliteness to the revered seito kaichou. She has allowed her pursuit of her dream to override Harmony. And Harmony, as we know, is one of the most fundamental values of Precure as it is of Japanese culture as a whole. 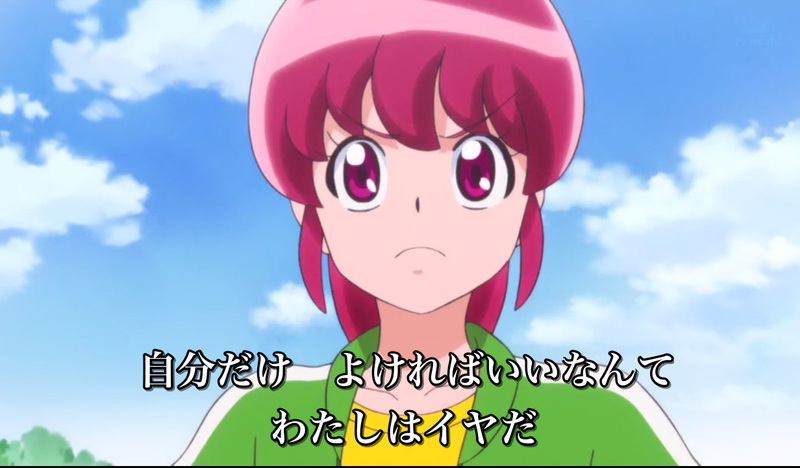 Probably the three strongest Precure values are Ganbari (always doing your best), Love, and Harmony. Amanogawa Kirara is a ganbariyasan to the core, but she is letting that ganbari become the enemy of Love and Harmony. This fault is so fundamental that it leads her to reject her destiny as a Precure. 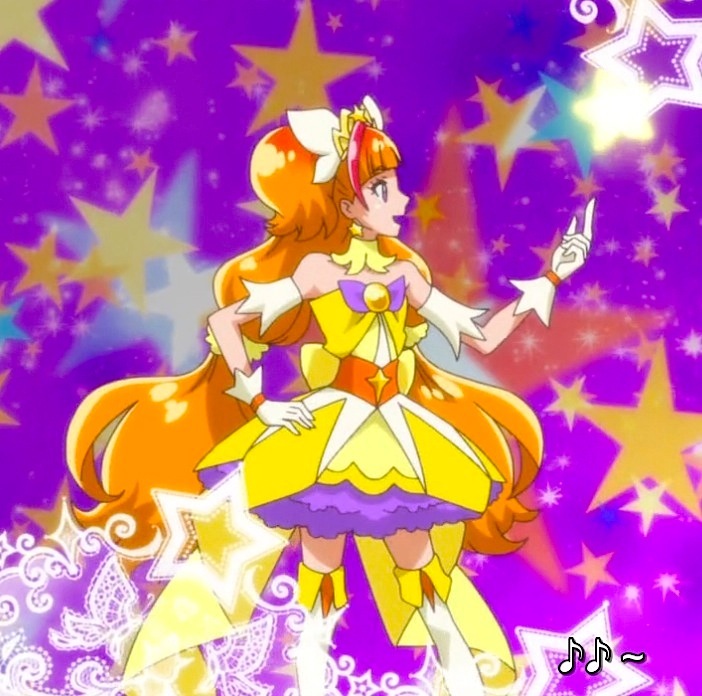 Cure Twinkle is a shining star, but she is not yet a good star. Because stars do not only shine. The other very important thing about stars, as everyone familiar with traditional thought (and that includes Japanese‐educated people) is aware, is that they travel always in their appointed courses, dancing to the eternal Music of the Spheres. And it is no accident that dance is a sub‐theme of this show. The simple theme of the show is that dreams and ambitions are good and despair is bad. But the best Precure is never that simple. Dreams and ambitions also have dangers. They should be pursued tirelessly, but they should also be pursued with love and harmony. This is the lesson Cure Twinkle has yet to learn. It will be interesting to see how she learns it. 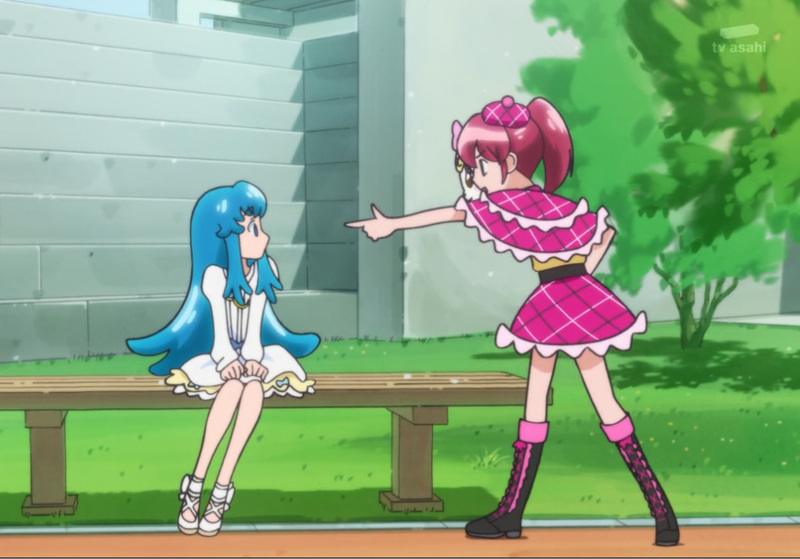 Happiness Charge Precure Review – is it as good as the others? Unless you have been living in the so-called “real world” for the past year you are probably aware that we at Musume Senshi are rather fond of Precure. Our stalwart staff (transformational staff of henshin, of course) have penned (gosh I hate that word “penned” – why did I use it?) lots of articles about the different Precure series. So naturally we were excited at the advent of a new series. Particularly as the series seem to have been getting better and better as they go on, culminating (so far) in the wonderful Doki Doki. As you will also know, we view these series from a point of view that appears to be entirely lost on most Western fans – their underlying philosophy, which is at once very Japanese and also akin to the traditional metaphysical ways of thought that are largely lost to the West If you aren’t familiar with our approach, try a sample here. So how does Happiness Charge stack up so far? Please be aware that I am just giving my Dolly impressions, but my first impressions are that it is a little lacking. Please don’t misunderstand me. It is a fun anime and I love it so far, but compared to the openings of Smile, Doki Doki, Suite and Heartcatch it seems to lack the metaphysical depth that they had. In a way it feels like a bit of a regression to the earlier series. They were good, of course, but one of the miracles of this series is that as it has gone on it has seemed to grow more confident in presenting non-Westernized Japanese values and the traditional spiritual view of life. Since this is against the supposed tide of Japanese “modernization” (or post-modernization) it is particularly heartening. To begin at the most fundamental point, there is the question of what are the Precure fighting for (and therefore against)? In the first Episode of Smile, speeches were made (and Magical Girl Anime has always been a speech-making art-form) outlining important themes. Wolfrun laid out the case against ganbari. Miyuki and Candy laid out the case for it. Later in the series, this theme is explored in considerable depth and subtlety. 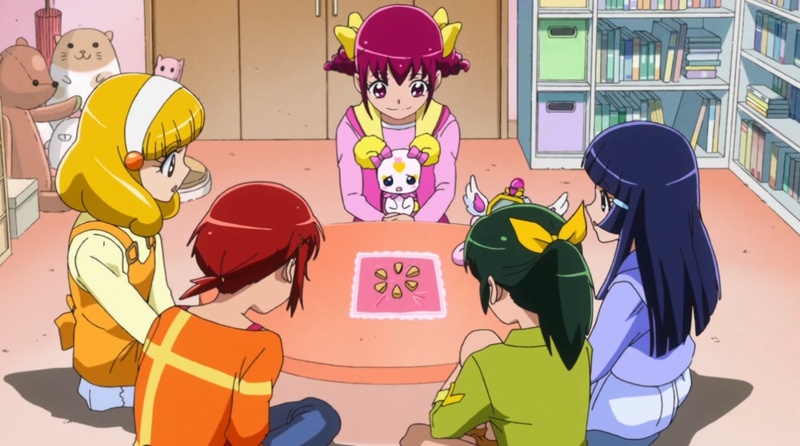 In Heartcatch, the connection of the individual heart to the Universal Heart (the Buddha-heart if one wishes to put it in Buddhist terms) is stated from the beginning. In Suite the theme of harmony vs discord is made clear from the first episode – and remember that 和 wa, harmony is fundamental to Japanese thought – so much so that 和 wa is also used to mean “Japanese” in many contexts. It is also a fundamental concept in all traditional metaphysical thought – “the Music of the Spheres” whose harmony governs all things: celestial bodies, nature, and all aspects of human life. We have the theme in Smile and Doki Doki of the Sacred Queen or Princess, representing pure goodness, who is imprisoned and must be re-awakened, together with the Pure Evil who is also imprisoned and whom the Dark Forces seek to awaken. What about Happiness Charge? My most immediate concern is in the nature of evil. Rather than a fundamental evil we seem to have a trivial evil. It is not trivial in its effects – in fact, unlike the previous series, evil is taking over this world at an alarming pace. The sense of urgency is greater – but in this it seems closer to Western drama. It is the outward and material threat of the evil that is stressed rather than its fundamental philosophical wrongness. Such Jikochuu is the opposite of social 和 wa or harmony as well as of Buddhist compassion. The evil of Happiness Charge seems essentially trivial. A spoiled queen who does not especially believe in selfishness as a principle but just happens to be personally selfish. The trappings of evil are actually quite pretty. The queen’s palace is kawaii. The fate of the Blue Sky Kingdom does not appear (thus far) especially ugly, and the カビ kabi, “mold or mildew” with which this world is being infected is actually rather pretty. There is a selfishness vs love/ganbari theme, and it is played out at this stage between Cure Princess and Cure Lovely. 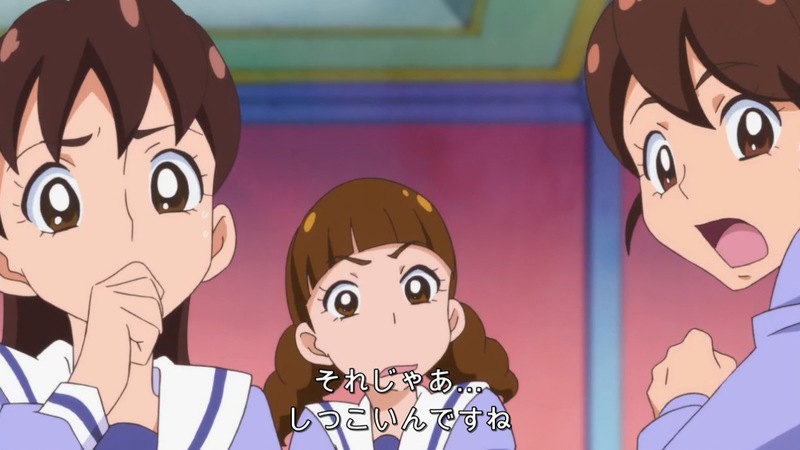 One immediately attractive aspect of the series is that Megumi, while unselfish and noble, wears modern casual clothes while Hime, while selfish and cowardly wears beautiful clothes. In a Western show the “moral” would be that if you mean well it doesn’t matter how you dress. Here it is clear that dressing beautifully is very important, and this is something Megumi has to learn (and wants to learn) from Hime. Protecting yourself – that is the sensible way to live. “So long as oneself is all right that’s fine” – I hate that (way of thinking). Everyone becoming happy – that is (true) happiness. 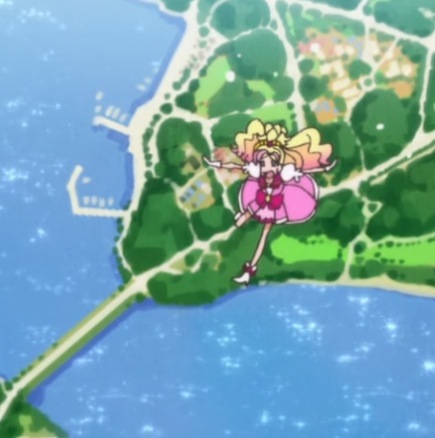 It is (of course) at this exact moment that she becomes a Precure. 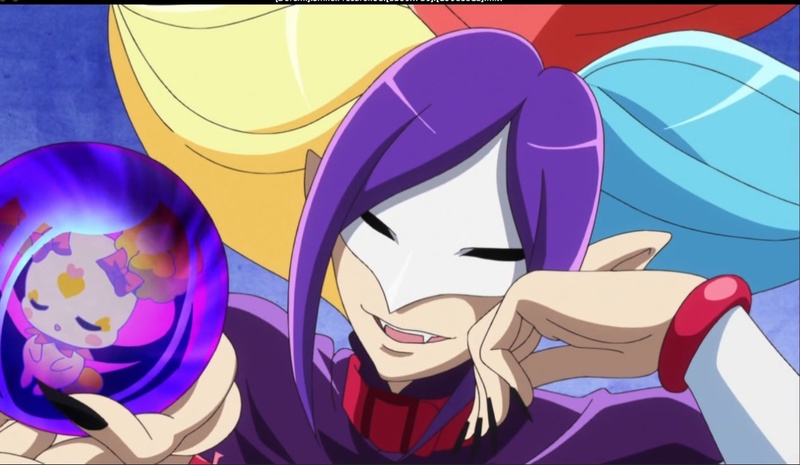 The prettiness of evil does seem very reminiscent of the Ball of Neglect and interestingly the current villain’s name is based on the same word used for the Ball. 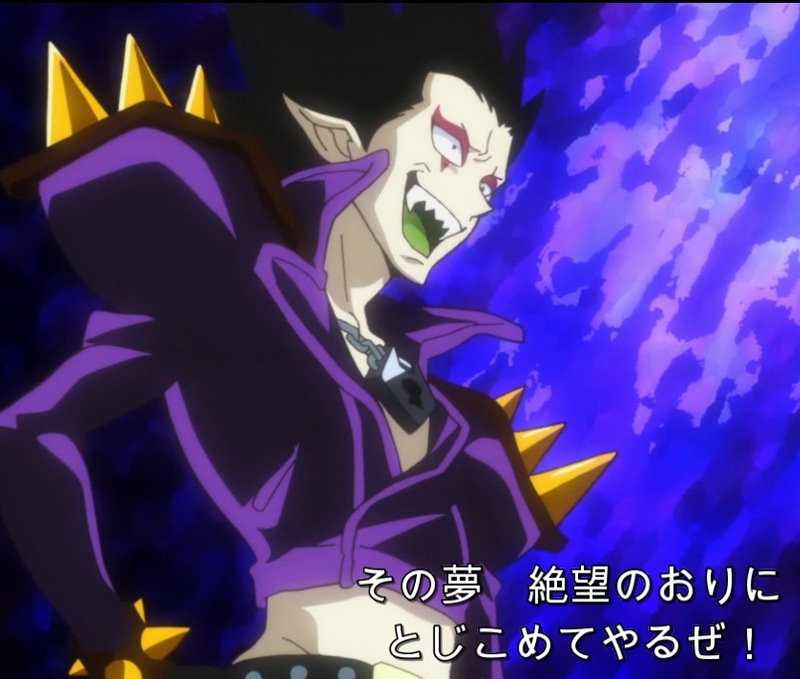 ナマケルダ Namekeruda is clearly based on 怠け nameke, “to slacken, idle or neglect one’s work”. While the Ball of Neglect is actually the 怠け玉 Namakedama or namake-sphere. Perhaps Happiness Charge is moving in the direction of a depth of traditional thought even greater than the other recent series. However, taking the first two episodes overall, and while I love them as mere fun stories. I am not so far optimistic. After my wonderful experience with Precure All Stars New Stage 2, it is wonderful to be able to announce that 3 is on its way and show you all this exciting trailer. From the trailer we can see that the two fairies who featured so prominently in New Stage 2 are present in this one, as is Cure Ace who was absent from the earlier movie (only the original four Doki Dokis were in it). You can see Aguri-chan at 0:41 and Cure Ace (making her A-sign) at 0:50 (extreme right, second row from the bottom). I have just watched Precure All Stars New Stage Movie 2. I believe a lot of people may find the All-Stars movies (and perhaps Precure Movies in general, as opposed to the deeper television series) a little disappointing, and I can see why. It does not go into the metaphysical depth of the series. It is set in a universe that is arguably “non-canonical”, in which all the different Precures from all series exist, and the plot could be called contrived and gratuitous. That is not to say that I was disappointed. Actually, I loved it. I was in tears for part of it and was overwhelmed by the sheer beauty and nobility of the movie. The main villain of the movie seems in a sense wholly gratuitous and disproportionate. It is not some demonic king, but a fairy in fairy-school who becomes dominated his own shadow-self (this isn’t actually a spoiler since you know that pretty much from the start. As the shadow-self becomes stronger, its power becomes immense and threatens all the precures – at first by cunning but ultimately by sheer power, which actually darkens the sky and blots out the sun. 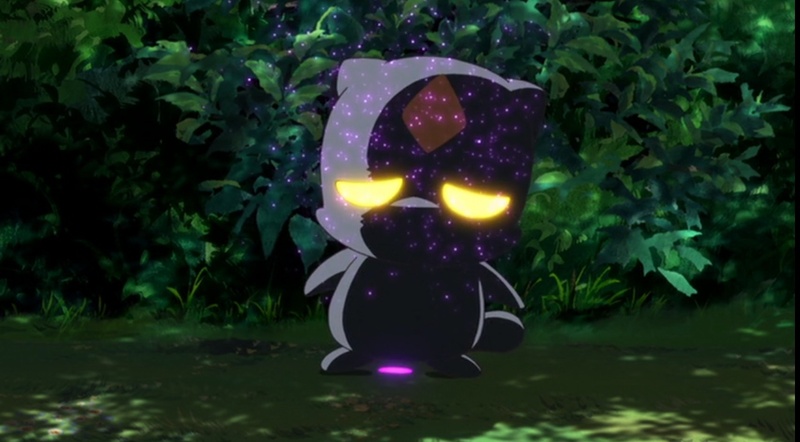 At the end the shadow-self is reduced back to its own small and cute-ish proportions and disappears(spoiler hidden). It seems unsatisfactory to the Western mind because it seems gratuitous. 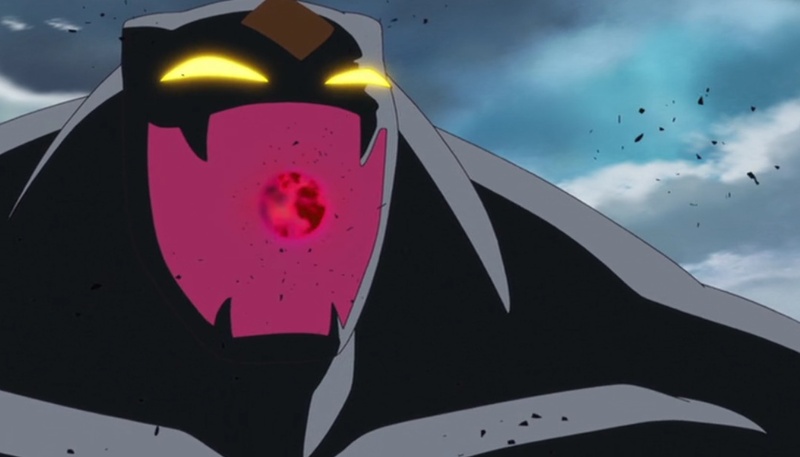 A cosmic-scale villain is conjured out of nowhere and then sent back to nowhere at the end. Just for the sake of the story, one could say. In fact I would say that but would add that it takes on a different coloring if we understand what stories really are and why humans need them. The current Western approach to stories is parallel to their approach to the universe. They believe they (it) are there by a kind of accident and could just as easily have been something else. Stories, to the Western mind, are just about individuals and the accidents of earthly life. Traditional stories are about the fundamental truths of existence. One of those is that the “villain” is not just an accident of plot or history. Ultimately there is only one Big Bad, and that is the Ultimate Darkness. The individual is a microcosm of the manifest world. The darkness in any one of us is ultimately THE darkness. When we understand this we see that there is nothing gratuitous about that One Darkness being unleashed through a particular individual. 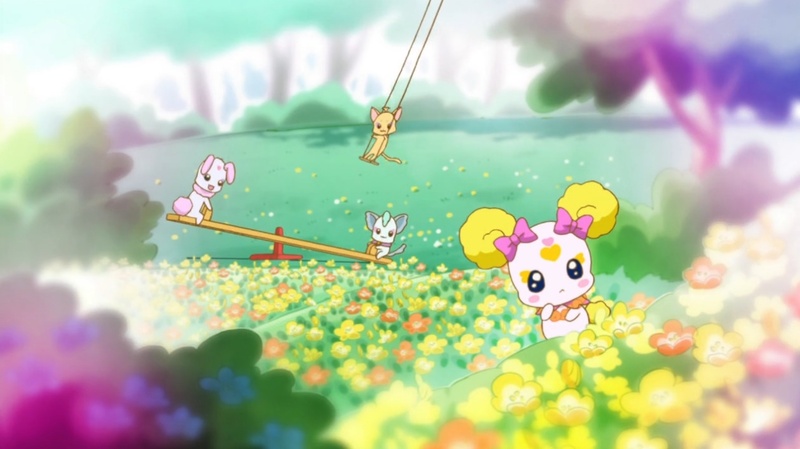 In fact Doki Doki Precure with all its depth, tells, on one level, very much the same story. In Doki Doki the one who succumbs to THE darkness is a king. Royalty is often used in traditional tales as the symbol of the individual soul. 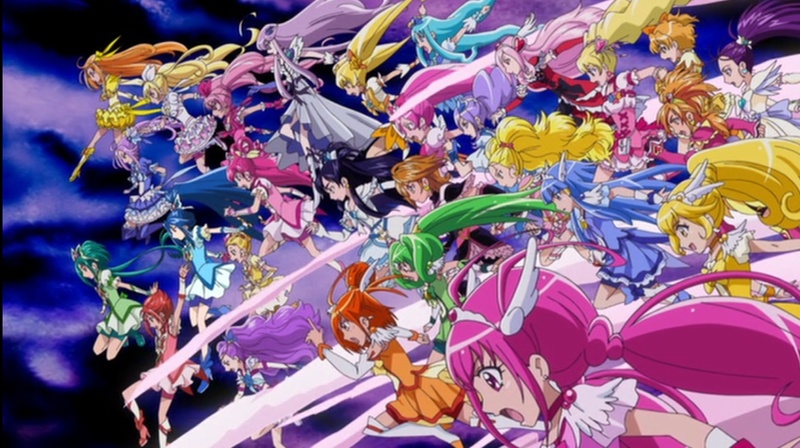 One of the things that I think troubles the Western mind about so many Precure at once (and the claim that they are non-canonical, though to my knowledge nothing in the “canonical” precure series says there aren‘t other Precures – they just aren’t featured) is that it makes them seem less “unique”. “Are there really that many of us?” say the Doki Doki girls in awe. Of course there are. Each of us is unique but the Great Battle is potentially fought out in every soul. The evil of Doki Doki (King Jikochuu and his minions) is the same evil here – the depictions of sludgey darkness even look the same. It is the same as the Universal Disharmony of Suite Precure and the heart-destroying Desert Apostles of Heartcatch Precure. The theme of a terrible darkness unleashed by personal selfishness or pride or cruelty is found in many of the equally heart-stirring Anpanman movies (as opposed to the Television shows). The depiction of sludgey darkness is often the same. In the end all true stories are branches of the same story. The true traditional storyteller is less concerned with telling an original story than with telling the Original Story. But saying the “faults” of the plot are not faults hardly makes the experience better if we do not enjoy the show, one may say. And I agree. But I think if one sees stories for what they always were, and still are in many Japanese productions, those faults cease to matter to our hearts. What does matter is whether the show stirs our hearts. And in my case at least, it does. The wonderful nobility of the precures. The kindness and gentleness coupled with the fierce determination to ganbaru and akeramenai – fight on despite everything and never give up – is soul-thrilling. The audience members are given Precure Lights to cheer on the heroines when the going gets really tough. The fairies all have their lights too, and the brave, massed cheers of “Precure ganbare!” are stirring to the depths of the soul. I want to be in a theatre in Japan one day, waving my light and shouting “ganbare” – a word so deeply rooted in every single day of Japanese culture that it is hard to translate. A lot of people will say they are too old for this. Maybe the cynical culture of the West has outgrown simple goodness. I would say that there is a word for the state of a culture that has outgrown goodness. That word is senility. 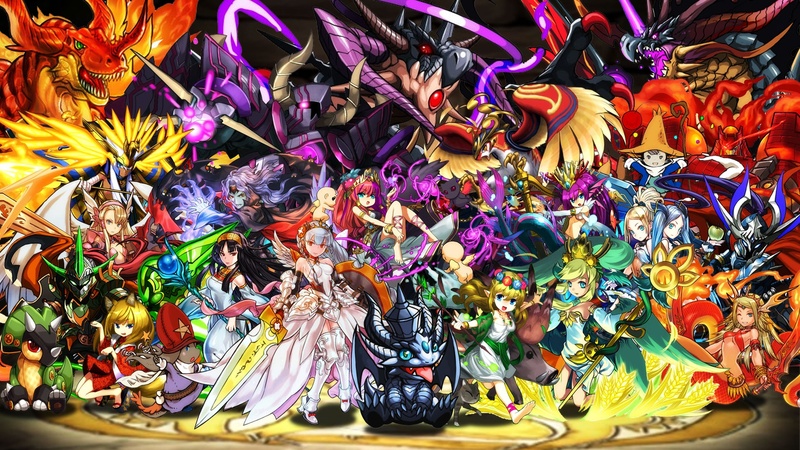 Puzzle and Dragons (or Pazudora as it is affectionately known) is a huge phenomenon in Japan on smartphones and the like. It is now being released on the 3DS and a very substantial playable demo is available on the Japanese eShop. It costs ¥4,000 which actually is likely to work out considerably cheaper than the “free” phone version, which charges for in-game stamina and apparently soon adds up to pretty expensive. The game has been an enormous financial success. 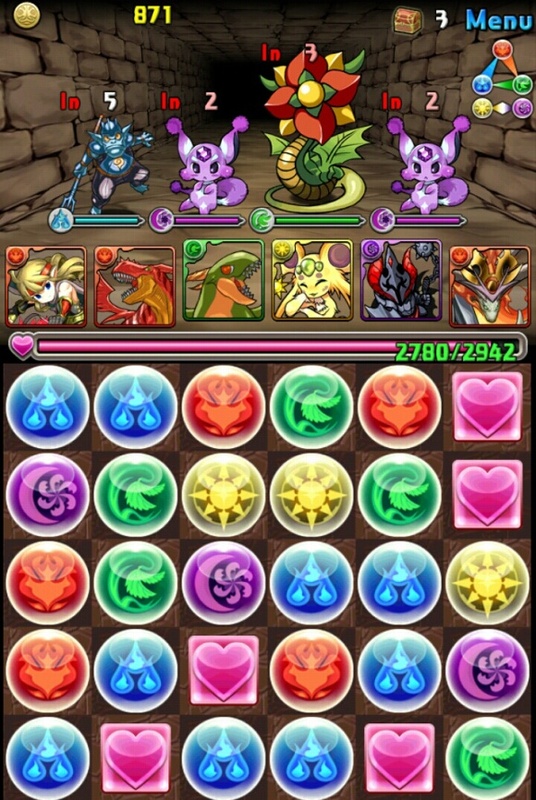 I have been playing the 3DS demo of Puzzle and Dragons and I am very impressed. At first sight it is somewhat akin to the excellent Puzzle Quest, in that it is an RPG in which combat takes the form of a Bejewelled-style game played on the lower touch-screen, in which different colored gems represent different elemental powers. 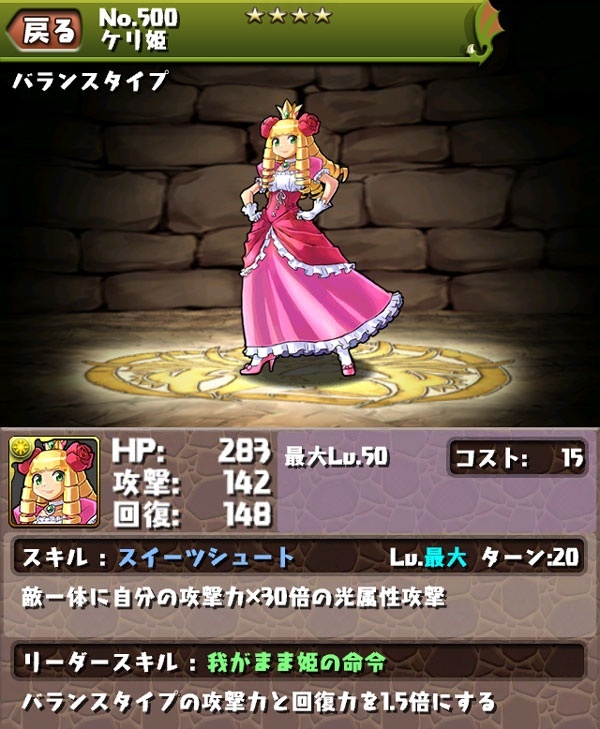 However, Puzzle and Dragons is a much more graphically-oriented game with lots of character interaction. The “dungeons” (actually often open air settings, though they are called “dungeons”) are graphically lovely with wonderful scenic depth fully utilizing the machine’s 3D. It is also a lot cuter. While the storyline is quite serious, focussing on an evil force invading the world, it isn’t long into the story before a “rabbit” drops out of the sky. 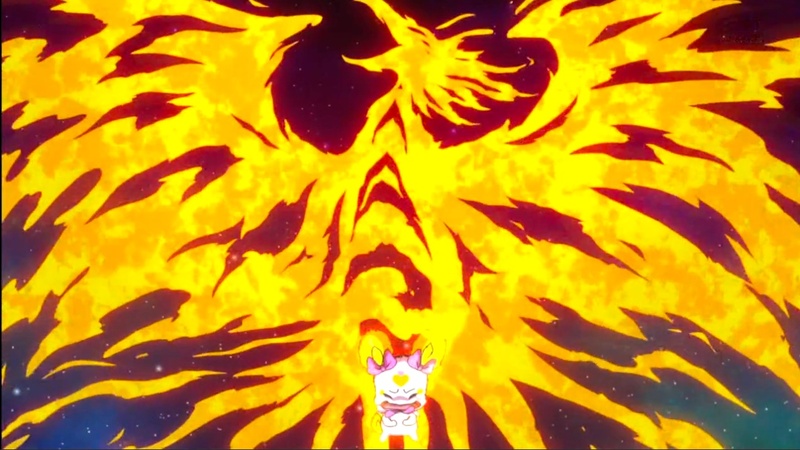 The “rabbit” is actually a dragon (but as cute as a rabbit) who plays an important part in the story, a little reminiscent of Precure’s fairies. In general enemies are cute, characters are cute, and despite a serious storyline you can’t go far without encountering something cute. Now, since you will only be downloading this if you have a Japanese 3DS you may be wondering what the language level is like. All the kanji have furigana, so you can easily look up unknown words. The dialog is reasonably simple and I find it a lot easier to follow than Pokemon, largely because in Pokemon a lot of interaction is with NPCs who say random and often quite odd things, whereas in Puzzle and Dragons the dialog is mostly furthering the storyline, the characters say things you might expect them to say, and generally it is much easier to follow. Definitely download the demo if you have a Japanese 3DS. This is a graphical treat with fun characters, an engaging storyline, excellent gameplay, and good, understandable Japanese practice. If you enjoy the lengthy demo, you may well want to buy the full game. You will be paying to own it outright rather than being nickel-and-dimed in perpetuity, and the gorgeous 3D alone makes it worthwhile to have this version. And it’s an excellent chance to find out why Puzzle and Dragons is such a huge phenomenon in Japan. Today was fireworks and a lot more. A real Japanese home-festival and a beautiful shrine. It ended very late (by our early-bird Japanese standards) and tomorrow is extra-early, (Okaasan impressed on me really strongly to be ready early. I am kind of scared she will hear me typing) – so no time to say much more and none in morning either. I’ll be with you when I can. Dame Desu. Language and Ineptitude. Dame (da-me): Before entering the preschool shower it was pretty clear I would be the target of a lot of mud-slinging (well, sandy-water-slinging) and was asked anxiously if it was daijoubu. I said it was and was told that if it starts to get un-daijoubu I should just cross my hands and say dame. That should stop anything. Dame is very effective. I should know as I have been damed effectively by several people. Now when I say “several people” I mean several small children. Adults will only tell you what would be dame if someone were unfortunate enough to do it, but small children take great pleasure in telling you what is dame while you are doing it, or are just about to. Since this is information you want, small children are useful people to know. Language and ditziness: Being hopelessly impractical, unaware of one’s surroundings and unable to process things like times and directions makes an odd combination with speaking the language you love most but speak poorly. In general it tends to make you look less ditzy (at least at first) but makes your language skills look (even) poorer than they are. Today for example, helping Okaasan to take down a big shade structure after my little sister’s tanjoubikai (birthday party) it looked as if I couldn’t follow simple instructions like “pull it out”. Actually I did know what she was saying. I just couldn’t work out the obvious-to-anyone-in-any-language part of what to pull out. The same thing happens in most practical discussions about where one it going, what one will do, where one should put something or anything really that relates directly to the physical elements of one’s manifestation. It also arises when one is out alone and lost. A tautology really since if one is out alone one is lost (I exaggerate but not by much). One tends to look linguistically hopeless when one is actually practically hopeless. In one way it is quite good as it provides a certain cover for one’s complete ineptitude, at least at first. The bus-information hito on my recent trip to Ichinomiya, for example, worked out pretty quickly that it wasn’t just (or even primarily) the language. I am sure some people reading my adventures think if I would just be less stubborn and admit to knowing English I would have an easier time. They are absolutely wrong. The language is a small problem but nowhere near the main one, and actually makes things easier by giving me an initial “excuse” for being so improbably incapable. There is another point too. I am an extreme extrovert from a South Novaryan culture. This means my social instinct will always override my instinct for survival. I recall a discussion elsewhere about the fact that you should never ask anyone from an non-Anglo-Saxon/Teutonic culture “Does this bus go to X”, because in almost every other kind of culture the hearer will divine from this that you want the bus to go to X and be too polite to say no. So you will be informed that it does and go happily off to Y, Z and W by way of あ, assuming that the information was factual rather than social. I suspect the Japanese being very “modernized” as well as very helpful, could be an exception to this – but I wouldn’t put it to the test, especially in a rural area. Well there is a reciprocal corollary to this. If I ask directions (always avoiding closed-ended questions like the above of course) and am asked “Do you understand?” well of course I can’t say no, even though I haven’t understood the first word. This is what happens to me in English. In Japanese I can at least look a bit blank as if the language was the problem. And it isn’t just a straight question like “Do you understand”, it goes deeper than that. When someone is talking to you the polite thing to do is smile and look intelligently engaged and nod in the right places (as indicated by tone and body-language) – in other words, give all the signs of understanding out of courtesy to the speaker, when in fact, even though they are speaking English, they might as well be speaking Martian (I don’t – I am not that kind of alien). When you are speaking the language brokenly it changes the social compact a little. An understood incapacity on your part is an aspect of the understood relations between you, so expressing your lack of understanding is a little less – dame. That does help a lot, even if it makes your language skills look hopeless. Tatoos are dame: You go to a bath to relax, not to see people looking grotesque (if you wanted that you would go to a freak show instead). Consequently tatoos are very properly banned in onsen and other Japanese public bathing places. I saw a sign that, I felt covered all bases neatly. “No tattoos or stickers”. First in a series of brief notes on Japan. 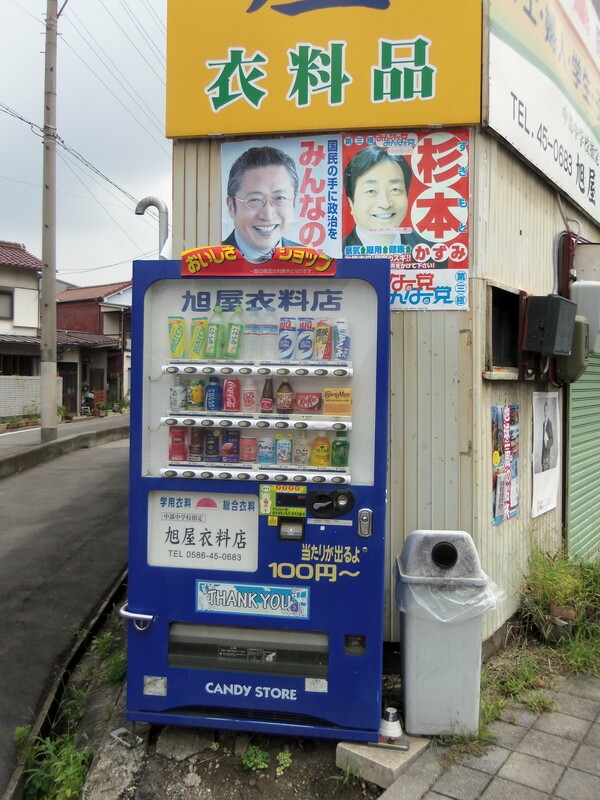 You have probably heard there are a lot of vending machines in Japan. There are. It is like South Germany where I lived at one time only much more so. There is even one on the corner of the country road where I am currently living. What is strange is that there is almost no public seating at least where I am now. And canned drinks come with no straw. Where and how are you supposed to drink them? Standing up in the street? Do you tip them into your mouth from the can like some barbarian. It is true I have encountered this problem in other countries, so why single out Japan? Japan, I am singling you out because you are grown up. You are supposed to know better. My first vending machine (I got a soda).